Joachim Herz, M.D., is a professor at the Graduate School of Biomedical Sciences at Southwestern Medical School in Dallas. Dr. Herz’s research has identified several fundamental molecular mechanisms that are common to both Alzheimer’s disease and atherosclerosis. This summer, he is participating in the Alzheimer’s Breakthrough Ride to raise awareness and make Alzheimer’s disease a national priority. Dr. Herz’s segment of the ride began on August 16 in Dallas and ended on August 18 in Oklahoma City. 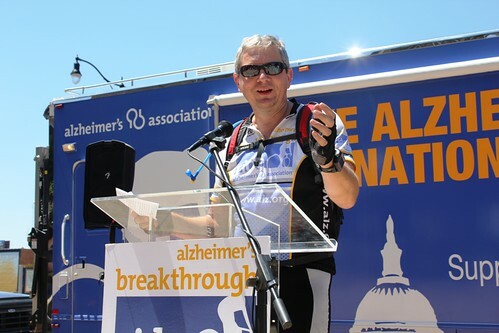 You can follow Dr. Herz’s Alzheimer’s Breakthrough Ride exploits from Dallas to Oklahoma City by clicking here. Click here to sign the petition to make Alzheimer’s disease a national priority.